Boys State is a truly unique experience where one week can change a lifetime. While hundreds of go-getters are admitted each year, some Cornhusker Boys State alumni have proven themselves to be especially remarkable, including Riley Knust, Alec Wiese, and Ben Sasse. Riley Knust, was the 2017 Cornhusker Boys’ State governor. Going into the elections Riley already had prior campaigni ng experience, was part of the Future Business Leaders of America (FBLA) at his school, and knew tons of people going into the week, all of which he feels gave him a leg up. However it wasn’t all easy sailing for him, Riley experienced some struggles on his path to governor. During some question and answer sessions, Riley says he had a lot of dumb answers and a lot of “I don’t knows”. However he was able to learn from these failures and was able to run a successful campaign for governor. At the end of the day Riley said he just tried to be himself, and tried to be as genuine as possible. 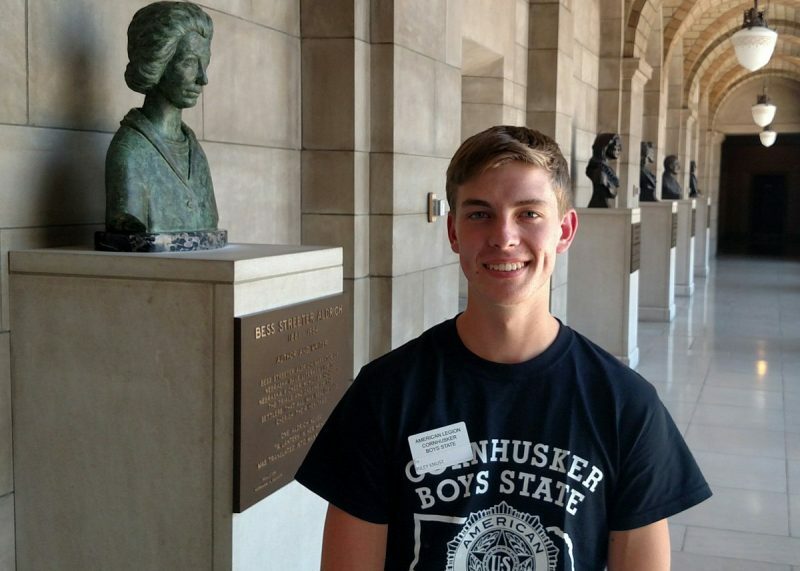 Riley is now considering a career in politics, has a newfound respect for public officials, and made some long lasting friends, all because of his week at Cornhusker Boys’ State. 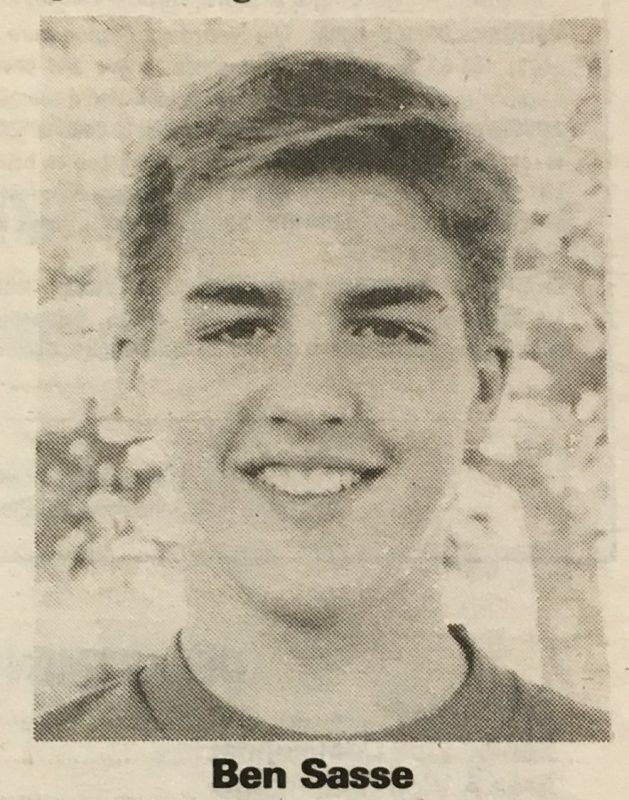 Alec Wiese attended Boys State in 2010. While there, he ran for the office of Lieutenant Governor. While he didn’t get the role, he still got involved and was able to learn many lessons from his experience. 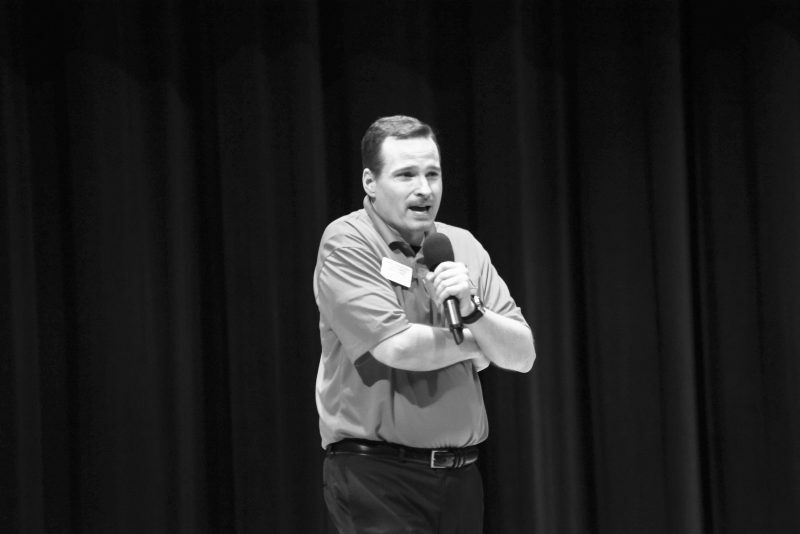 During Boys State, Wiese got out of his shell and learned the importance of risk-taking. He made many friends at Boys State and to this day, maintains relationships with some of the people he met. One piece of advice he would give to high school students our age is that you have to be able to find a good balance in life, and that you have to learn how to keep that balance in order to make it through high school and college. Today, Alec has started his own company and says the idea for his company was born out of speculation as to what kind of meat was in the twenty-five cent tacos he was enjoying with a friend. The friend said it was probably bug meat, and that’s what led to the idea to put insect protein into the foods we eat. Alec’s goal for Bugeater Foods is to help feed the world’s growing population with a sustainable source of food and expects the company to start reaching into developing countries that are in need of a better food source. One of the most well-known Cornhusker Boys’ State alumni is the current junior Senator for Nebraska, Ben Sasse. 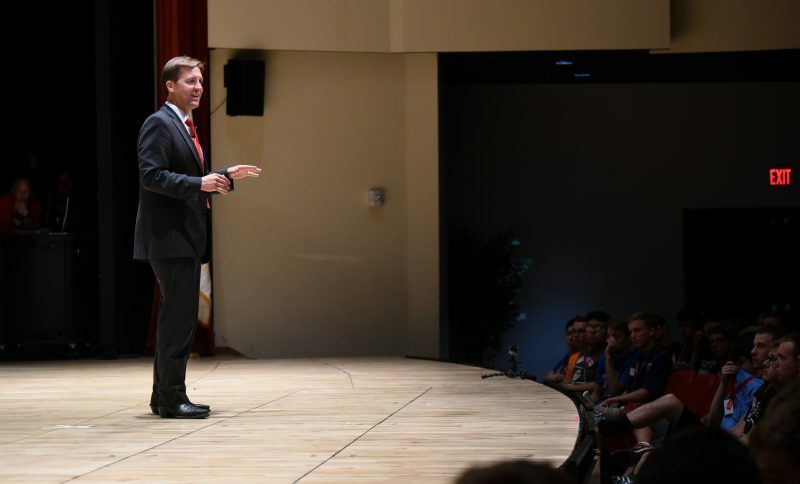 Sasse was governor of Boys’ State in 1989, and he learned here that it is important to be able to learn from the wisdom of qualified adults and apply that knowledge to our daily lives. Like Alec Wiese, one of the Senator’s favorite parts of the program was making lifelong friends, some of which he still keeps up with to this day. He attended Boys’ Nation afterward, and there he met many high achievers that drove him to better himself. The lives of all three of these men have been shaped positively by the experience Boys’ State has provided them. It is truly “ a week to shape a lifetime”. Today at the track meet, Co-Chief Counselor Scott Day was interviewed about his experience at Boys’ State over his 26 years at the program, both as an attendee and counselor. The first experience he had at Boys’ State was when he attended in 1992. Originally from Wayne, his counselor Mr. Munson recommended that he apply, setting into motion a lifetime of dedication to the program. Sponsored by Mr. Irwin L. Sears from Legion Post 43, Mr. Day had a fantastic time at Boys’ State and was selected to attend Boys’ Nation where he met President George H. W. Bush. After his experience, he returned the following year as a Junior Counselor and continued to return in various positions for the last 25 years. Over that time, he has seen technology advance and affect Boys’ State, while keeping the core focus on government and citizenship consistent. In 2006, Mr. Day was part of the team that set up the first Boys’ State website. When asked about the changing technology, he replied that he heartily endorses the tremendous ability they have to keep Staters in contact with the people they meet years down the road. There are forty-nine different Boys State programs across the country that gather annually to educate rising seniors about their local and state governments. Each Boys State offers unique daily activities and hosts differing numbers of delegates. I interviewed Ben Lipson, from New Hampshire, and Yosua Siguan, from North Carolina, both of whom were Boys’ Staters in 2017 to learn about their experiences and compare it to my own. First, a few similarities between the three. Cornhusker and New Hampshire Boys State both send their delegates to their state capitol building at the end of the week. North Carolina and Cornhusker Boys State have town, county and state elections. North Carolina and Cornhusker Boys State both have at least one sport. All three have newspapers to depict daily events. Beyond the daily activities of these Boys State programs, one major similarity between all three, that both Yosua Siguan and Ben Lipson touched on, is the massive gaining of knowledge and experience in the realm of politics and leadership. I, myself, can relate to this sentiment as Cornhusker Boys State has taught me a great deal about Nebraska issues and what form of leadership best fits my personality. Next, the differences between the three. Cornhusker Boys State is actually the last state that holds joint sessions with its American Legion Auxiliary counterpart, Cornhusker Girls State. Also Cornhusker Boys State has four sports whereas North Carolina has just basketball and then New Hampshire has none. New Hampshire has 78 delegates attend, North Carolina has 250 and Cornhusker Boys State has 450. North Carolina Boys State has a speech contest. Additionally, before attending North Carolina Boys State you have to write a bill whereas at Cornhusker and New Hampshire Boys State you write bills when you get there. At New Hampshire’s program one big job of the executive office after they are elected is to pass a budget whereas North Carolina and Cornhusker Boys’ State both don’t pass a budget. The North Carolina session bills pass through a house and senate legislature then it must be approved by the governor and his cabinet. This is in contrast to the Cornhusker Boys State unicameral system. Boys State programs differ throughout the country. In my interviews I learned that while they all might be different in certain aspects and the same in others they are all unique. The American Legion continues to politically socialize the youth of America and through their Boys State programs, young men from around the country can attest to the success of this mission. One of the most amazing aspects of Cornhusker Boys’ State is the opportunity that the young men have to take a break from politics and participate in either sports or news writing. This down time reminds the boys that not everything has to be about politics and having fun is important. The Boys’ State staff is continuously looking to add additional recreational activities so the boys can find a place to fit in and feel more included. In this line of thinking, last year the staff tested out the idea of having a new position called the town historian. The town historian is an opportunity for one selected person from each town to write long-hand pieces about the history of both their towns and of Boys State as a whole. These individuals have an opportunity to sit down with multiple staff members, alumni, and important political figures to learn and write about their history with Boys’ State. The boys then have the privileged opportunity to stand in front of their peers every night and present what they learned about their town and the people they interviewed. Michael and the entire historian staff wants to thank the alumni for continuing to support the program that allows them to take advantage of this opportunity.